Obituary for Roger Theodore Smith, Sr. | Todd Funeral Home, Inc.
Roger Theodore Smith, Sr., 79 a longtime resident of Rochester passed away Friday January 18 in his home. He was born November 18, 1939 in Rochester and was the son of the late Percy Alford Sr. and Susie Smith. 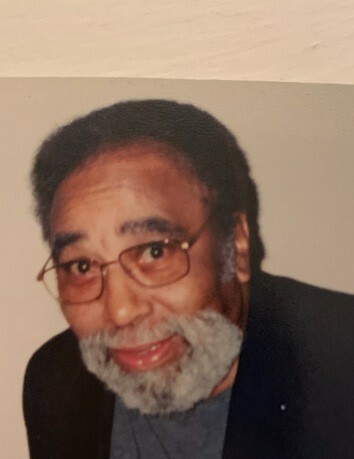 Roger had been a foundry worker at General Alloy in Rochester Township, was a member of the Second Baptist Church of Rochester and was an Army veteran serving during the Korean Conflict. Surviving him are his wife, Pauline Stewart Smith, a son Roger Theodore (Andrea) Smith, Jr., Rochester, daughters, Paula Barnes-Smith, Beaver Falls, Monica Ellis-Smith, Monassas, VA and Karen (Rodney) Solomon, Rochester, 12 grandchildren, 13 great-grandchildren, sister Linda (Dorothy Green-Smith) Smith, Monaca, mother-in-law, Odester Price, Aliquippa, brothers-in-law, Ross Stewart and Fred Guerriri, sisters-in-law Francine Gist and Lessie Guerriri, all of Cincinnati, OH and Hanna Smith, Rochester. In addition to his parents, he was preceded in death by a grandson, Ayden Perminter, 15 siblings and a host of in-laws. Friends will be received Wednesday from 10 AM until service time at 12 Noon in the Todd Funeral Home, 340 Third Street, Beaver. Reverend Howard Burton of the Father's House will officiate and interment will follow in Sylvania Hills Memorial Park, Rochester. The Beaver County Special Unit will provide full military honors at the cemetery to honor Mr. Smith.